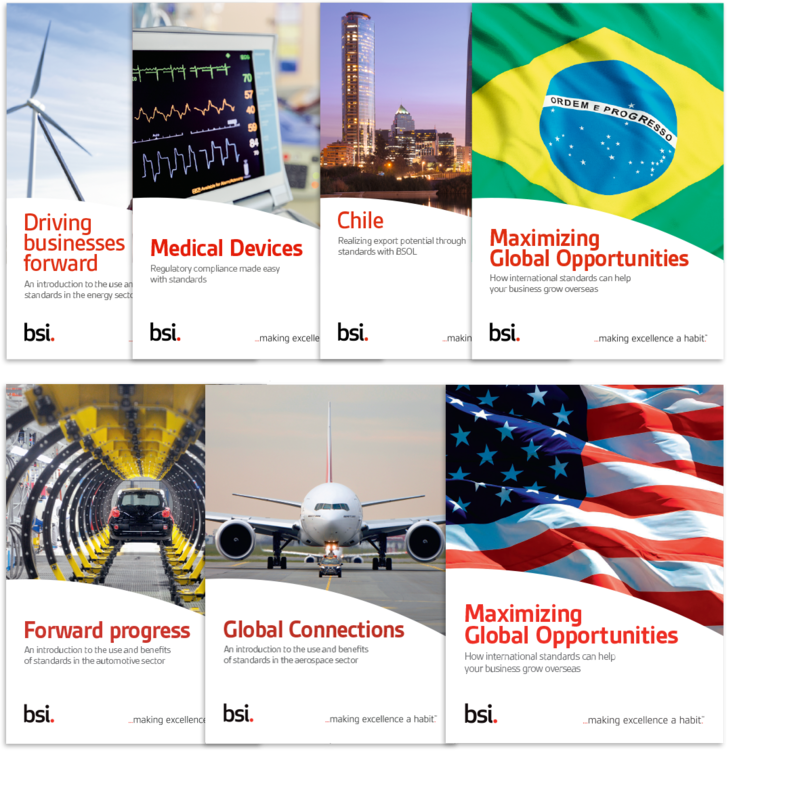 Fugu is working with BSI to develop and author content for a series of international reports, designed to promote the organisation in strategic national and vertical markets. Reports published so far have focused on trade in the USA, Brazil and Chile, as well as specific industry sector reports such as automotive, aerospace and energy. Each report references key economic trends and technologies, relevant to the region or industry in question. Fugu undertook research to gather relevant contextual material and worked with BSI experts to include key messaging and technical information. Once a plan and layout was agreed for each report, we then drafted all copy and project managed the design process from initial layout to print and publishing – including researching and producing several bespoke infographics.